Sea-Doo watercraft and boat owners are invited to join the Sea-Doo Special Events Team on a group ride from Lake Havasu City to Pirates Cove Resort in Topock, CA. This ride is $10 to enter for owners of modern Sea-Doo watercraft and boats. BRP’s Sea-Doo Ultimate Owners Ride II takes place in conjunction with the largest single personal watercraft event in the world the IJSBA World Finals. 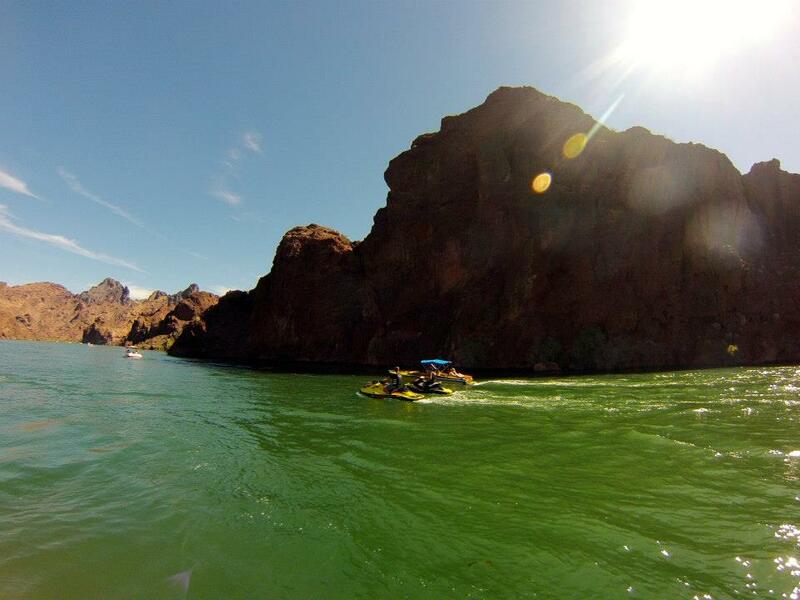 The Sea-Doo Ultimate Owners Ride is in it’s second year and will be a fun-filled, 45-mile+ guided group ride on Lake Havasu and the Colorado River. This is the opportunity to experience one of the best one-day rides in all of North America and do it with enthusiasts who share the same passion as you. Join the Sea-Doo Event Team for a fun day of riding next to some of the new 2013 Sea-Doo model watercraft and enjoy a special edition Sea-Doo World Finals event t-shirt, lunch at Pirates Cove Resort in Topock, California, and chance to win BRP gear and prizes. If you are interested in participating in the ride, you can fill out our registration form on Facebook and download the registration form below and return it to us by FRIDAY, SEPT. 28, 2012. You can email the form to us at info@watertopunlimited.com, fax the form to us at 321-674-9260 or bring your completed forms to registration on Thursday, Oct. 4 at Mudshark’s Brewery in Lake Havasu City.